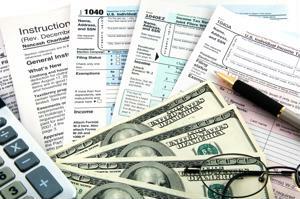 Most people anticipate the start of tax season so that they can obtain the refund to which they may be entitled. So why does the IRS have millions of dollars in unclaimed refunds each year? The Internal Revenue Service announced that it currently has roughly $917 million in unclaimed tax refunds for a projected 984,000 Americans who failed to file their taxes in 2009 in its possession. In order to obtain the refund, however, individuals must file their 2009 returns by April 15, 2013, or forfeit their money to the U.S. Treasury. The IRS provides a three-year window to file old returns for those who are owed a refund. This scenario is common each year, with hundreds of thousands of Americans choosing not to file their tax returns. This is largely because they may have had too little income to require filing a return even though they had taxes withheld from their wages or made quarterly estimated payments. Although some individuals who don't generate enough income to require them to file may choose not to bother meeting with a tax preparer and submitting a return, this is not always the best decision. They may find that they miss out on refunds made possible by the Earned Income Tax Credit and other benefits. There is currently no penalty for filing a late return qualifying for a refund. However, those who owe a tax bill for a previous year and failed to file will be subject to a different set of rules. The IRS typically imposes three types of penalties for those who fail to file returns and pay their balance: Failure to file, failure to pay and accrued interest. The failure-to-file penalty is calculated based on the time elapsing between the filing deadline and the date individuals actually filed the tax return. The penalty is 5 percent for each month the tax return is late, up to a total maximum penalty of 25 percent. The failure to pay penalty is 0.5 percent of the amount the taxpayer owes, and there is currently no cap on the amount that the IRS can collect in these penalties. Lastly, the IRS will impose interest on unpaid balances, and these rates change every three months. Given these heavy penalties, those who have not filed previous returns and think they may owe a balance should meet with their tax preparer to submit their documents.